Most people who don’t live in Japan see the country from abroad through the filter of main stream media and pop culture. Japan might inspire images of Zen gardens, manic TV game shows or anime cos-play otaku. More often than not the stereotyped image of Japanese life is more fiction than reality. The world of business is no different. Various myths and stereotypes exist about doing business in Japan that need to be re-examined. 1. Japan is an expensive place to live. At some point during the 1980s, Japan certainly was a place where you could find hair razing prices for commonplace things. You’ve probably heard stories about $300 honeydew melons etc. However the last 2 decades have seen persistent deflation relative to other developed economies. Consumer value for money has never been better. One of the reasons for this myth of expensive living is that cost of living surveys such as the ones published by The Economist are calculated for relocated business executives “…on the assumption that an expatriate has a right to live at the assignment site in the same manner and with the same kind of goods and services he would find at home“. However, if you are willing to forgo the lifestyle of a 4 bedroom home, in-house maid and steak dinner 3 nights per week, Japan is a remarkably affordable place. Real Japanese food is fresh, delicious, healthy and reasonably priced. Health care (including dental) is subsidized by the government. Public transport in urban areas is so ubiquitous and reliable that there is simply no actual need to own a car. So a more accurate statement would be to say that Japan is an “optionally” expensive country to reside in. Expensive only if you don’t want to accept a little flexibility in lifestyle. 2. Japanese consumers prefer premium quality products. The image of retail shopping in Japan is often that of Louis Vitton and Armani brand goods purchased in Tokyo’s Ginza district. However only a small minority of Japanese can afford such luxuries. After two decades of slow economic growth, many Japanese have aquired frugal buying habits. This helps explains the huge success of discount clothing outlets like Uniqlo and ABC mart. Discount department stores like Yokado also seem to be doing well. This is not to say that Japanese consumer will accept shoddy goods. Far from it. But the average Japanese consumer does appreciate a bargain and will keenly evaluate a value for money offering. Service standards on the other hand, is a different matter. In Japan, the phrase “the customer is God” is ingrained in all forms of commerce and staff at every level are well trained and expected to offer top class customer service and after-sales support. 3. Japanese consumers dislike foreign goods. Over the years, many big name brands have failed to make headway in the Japanese market. Ebay, Vodafone, Carrefour to name a few have all come and gone from the Japanese scene which might persuade some business people to believe that national preferences stand in the way of foreign entrants. What business needs to understand is that Japanese culture and lifestyle has important differences and needs to be taken into consideration. IKEA is a prime example of a company which failed at first attempt because they didn’t adjust their furniture product range for smaller Japanese homes. Further they didn’t adequately consider that home D.I.Y. isn’t an easy concept in a culture that values convenience. When IKEA later entered Japan on a second attempt, they emphasized how their goods could be adapted to offer flexible convenience for Japanese homes (with the catchphrase “from a place you sleep, to a place you enjoy”) and they even offered home assembly as an additional service. IKEA has shown that with the right approach, foreign brands can find rapid acceptance. 4. Japan is a patriarchal society. Decisions about how the money is spent on consumables, furnishings, appliances and children’s education are all largely made by women. One of the most popular foreign misconceptions about Japan is that Japanese women are meek and subservient. The image of Japan as a male dominated culture permeates Western views. Certainly, woman have found it hard to break the glass ceiling of traditional Japanese companies. However, more and more young women are taking matters into their own hands and starting their own companies. Women tend to be better educated than their male peers in Japan. Furthermore, in terms of the household budget, the woman of the house is usually the one calling the shots. Husbands are expected to hand over their monthly salary and are given an “allowance”. Decisions about how the money is spent on consumables, furnishings, appliances and children’s education are all largely made by women. It’s an important point to remember for companies pitching goods and services to Japanese families. 5. Japan is an aesthetically motivated country. Japanophiles are often attracted to Japan’s tradition of craftsmanship, attention to detail, zen simplicity. However a Friday night visit to any Japanese city’s noisy garish “shita-machi” nightlife areas could be a rude shock. Japanese commercial aesthetic culture can be shockingly loud and busy to the uninitiated. To the extent that Japanese have any aesthetic preference at all, there seems to be a common acceptance of “cuteness” (kawaii) in product packaging and advertising. 6. Japanese all have smart phones. According to eMarketer, as at April 2014, six in ten mobile phones in Japan were still traditional feature phones. Surprisingly, smart phones are still a minority (although growing rapidly). Based on what can be seen in the streets of Tokyo, this might best be explained as a generational divide. It’s very hard to find anyone under 40 who isn’t texting to friends via their Smartphone (especially via the LINE app). Older generations though, who probably first got their “keitai” phones between 1995 – 2007 are still using the older style handsets. During that era, Japanese domestic cell phones were quite advanced by international standards and probably still adequate today for the daily needs of Japanese seniors. And let’s face it. There are a lot of elderly people in Japan. So businesses need to think beyond the smartphone if they expect to reach Japan’s cashed up “silver surfer” generations. 7. Japanese labour costs are inflexible. Another relic from the Bubble Era is the image of the “job for life” salaryman who enters the company after graduating from university, slogs away through good and bad, then exits the organization to a glorious retirement 40 years later. During Japan’s “lost decades” the reality has become something different. Big companies like Panasonic and Sony have swung the axe and laid off thousands during recently years. A controversial trend in the Japanese economy has been the so-called “dual labour market”. Companies usually have a core of trusted long term employees but growing numbers of part time, casual and temporary workers. The wages and conditions for this class of employees is usually inferior their permanent colleages. According to an IMF report, maybe 35% of Japan’s labor force is comprised of such non-regular employees. 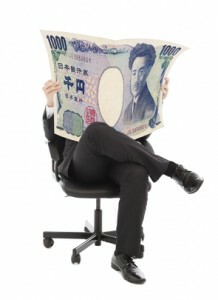 Another phenomena which provide Japanese companies with some labor cost flexibility is the Japanese “bonus” system. Employees usually receive company bonuses twice a year, in summer and winter. Unlike western companies, such bonus payments are only marginally connected with individual performance. Usually the remuneration is determined by overall company profitability and can be quite lucrative for the recipients. However since there is no legal requirement on companies to pay these seasonal bonuses, they are often reduced or in some cases cut completely during tough times.